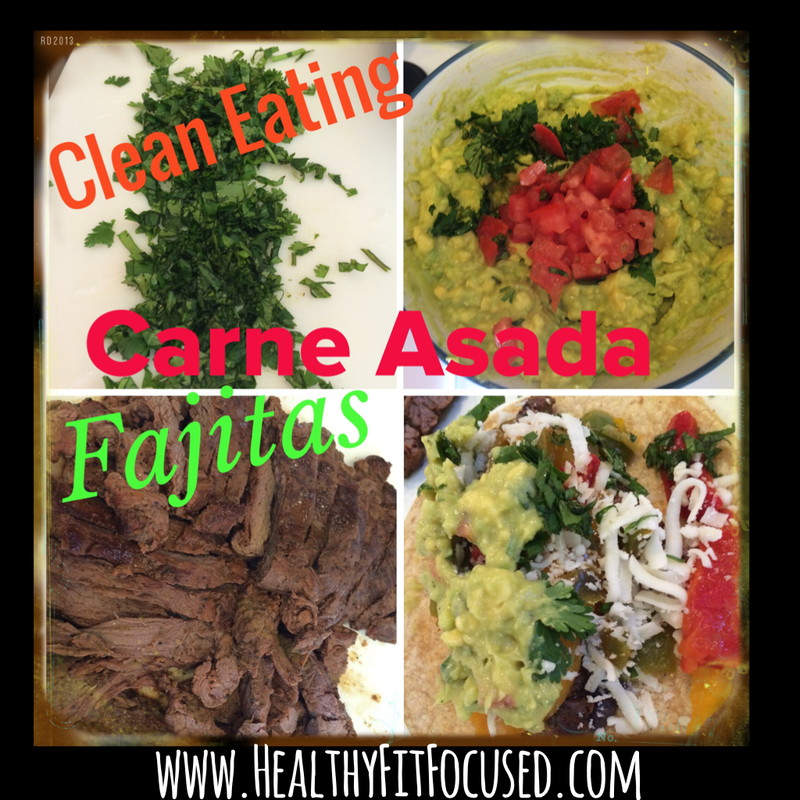 Healthy, Fit, and Focused: Clean Eating Carne Asada Fajitas - Happy Cinco de Mayo! Clean Eating Carne Asada Fajitas - Happy Cinco de Mayo! Happy Cinco de Mayo! So today is another great excuse to have Mexican food in our family!! Whaoo!! So instead of having it just once…I decided to start early and have it last night and tonight. I'll come up with a different recipe for tonight…or who knows, maybe do this again tonight because it was so good! So here it is…clean eating Carne Asada Fajitas. I found this recipe and decided to try it out…yummy! Combine white vinegar, olive oil, lime juice, garlic and spices together in a bowl. Mix well. I like to pour my marinade in a freezer Zip Lock baggie with the meat and let it marinade for at least 1 hour (up to 24 hours). Make sure to flip the bag of meat/marinade to get both sides! After it's finished marinading, grill the flank steak (doesn't take long on grill). You can also broil the steak on the tap rack for 6 minutes, then flip steak and broil for 5 more minutes for medium. Cut the steak into slices top with toppings listed below and serve on heated corn tortillas. Ultimate Reset Phase 1 Update and Progress! Lose the Fat for Summer! The Ultimate Reset Days 1 and 2 Update!